Just your periodic reminder that we love scoop-y news tips. You can hit reply to the newsletter or drop a note to ina@axios.com. In leveling a $57 million fine against Google, French regulators are offering the first real hint of just how much change Europe's sweeping new privacy rules will force at U.S.-based tech giants, Axios' David McCabe reports. Why it matters: While $57 million alone isn't a giant amount (parent company Alphabet brought in more than $33 billion in revenue in its last reported quarter), the new European law has the potential for significantly larger fines — up to 4% of worldwide annual revenue, or 20 million euros, whichever is larger. The big picture: The European General Data Protection Regulation (GDPR) has sparked an urgent effort to pass a national online privacy law in Washington. And state lawmakers are attempting to create their own regulations, too. "[I]f CNIL doesn't fine any EU-based ad networks in the coming months we know GDPR is about competition policy, not privacy." GDPR also raises concerns for Facebook and other social platforms operating in the EU. Facebook COO Sheryl Sandberg told attendees at the Digital-Life-Design (DLD) conference in Germany on Sunday that the company needs "to stop abuse more quickly and we need to do better to protect people's data." Of note: Not everyone there bought into her speech. 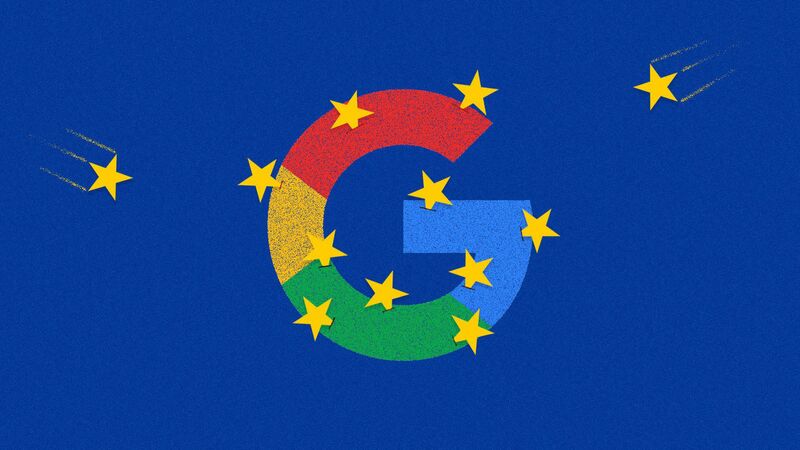 What we're watching: How Google's EU fine will influence the Capitol Hill debate over privacy, as lawmakers try to write rules before a new privacy law goes into effect in California next year. Our thought bubble: Monday's fine makes it clearer than ever that Europe, not Washington, is setting the pace when it comes to building guardrails for Silicon Valley firms. Also at DLD, NYU business professor Scott Galloway offered up his annual list of predictions — including one stating that Amazon will split out its AWS unit as Big Tech takes on health care, David writes. Why it matters: With his skeptical view of tech giants, Galloway has become a widely quoted and sought-after speaker. His 2017 book "The Four" will be on the syllabus of any future courses about the techlash, and he cohosts a podcast, "Pivot," with Recode editor-at-large Kara Swisher. Amazon splits off Amazon Web Services into its own entity. More retail businesses will buckle under Amazon's weight. Tech giants will take on incumbent players in health care. "The biggest news story in 2019 will be Big Health," Galloway said. Companies that can double down on recurring revenue models like Amazon Prime will do so. More brands will be "going woke," Galloway said, by branding themselves around progressive political or social positions. Galloway said that his "optimistic" prediction was that "2019 will be the year of immunities kicking in against kleptocracies and the tyranny of technology that has run unfettered." The NBCUniversal Owned Television Stations (OTS) division has signed a multi-year contract with Comscore to provide measurement for its 40 local broadcast networks owned and operated by NBC and Telemundo, Axios' Sara Fischer reports. Separately, in another exclusive report, Sara writes that Vox Media is acquiring The Coral Project, an open-source system used by roughly 50 newsrooms to manage their online comments section. The Coral Project had been housed within the Mozilla Foundation and terms were not disclosed, although it will continue to be an open-source effort. Quick take: If you're not getting Sara's weekly Axios Media Trends newsletter, you should (sign up here). It's chock full of good stories like these. Upset by anti-transgender rhetoric from Irish comedian Graham Linehan, professional gamer and YouTube star Harry Brewis (better known as Hbomberguy) went on a Donkey Kong-playing spree, playing Donkey Kong 64 from start to finish and soliciting donations. Brewis ended up raising roughly $340,000 for Mermaids, a British charity for transgender youth. Even Rep. Alexandria Ocasio-Cortez dropped in on the Twitch livestream. The bottom line: Mermaids CEO Susie Green told Broadly that while the money raised was astonishing, "the love and support that has been generated by this wonderful human being is the real win, as transgender children and young people have seen this and know that they are not alone." 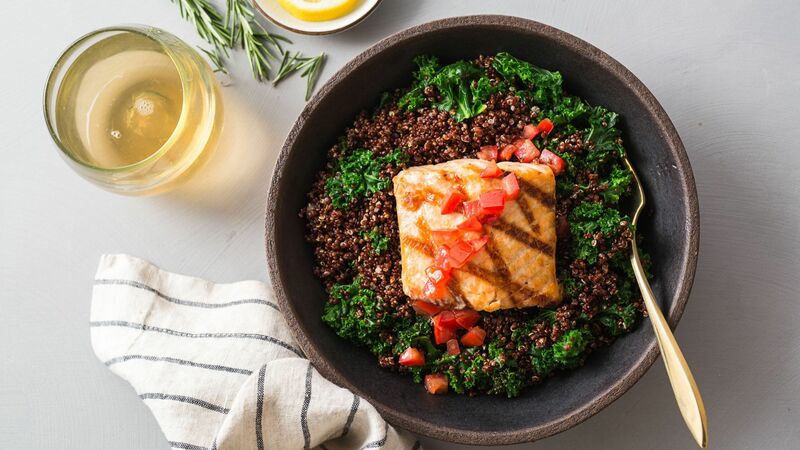 Munchery, an 8-year-old San Francisco meal delivery startup, announced its shutdown on Monday, becoming the latest to succumb to the harsh realities of the business, Axios' Kia Kokalitcheva reports. The bigger picture: A number of companies have attempted to cook and deliver their own meals (or meal kits), but many have shuttered or struggled. That includes SpoonRocket, Sprig, Chef'd, Maple and Ando. In 2015, the company added meal kits to its business, signing up high-profile restaurateurs as launch partners. However, just 5 months later, San Francisco baker and La Boulange founder Pascal Rigo, who had joined as chief customer experience officer, left the company. But by the end of 2016, the company had replaced co-founder Tri Tran with a new CEO, and Bloomberg reported it struggled with overproduction of food. Last year, it shut down service in all cities except San Francisco and laid off 30% of its workforce. Meanwhile, some meal kit startups like Plated and Home Chef are selling to large grocers as a way to survive. Presumably, this enables them to tap into their parent companies' supply chains and larger customer reach. Blue Apron, which chose to go public in 2017 and is currently trading at around $1.32 per share, replaced its co-founder with a new CEO in late 2017. IBM reports earnings after the markets close. Mobility app Transit named David Block-Schachter as its chief business officer. Microsoft Surface unit head Panos Panay seized the moment after New England Patriots coach spiked his league-issued Surface tablet on Sunday. Don't worry about the Surface Pro, he tweeted, "we quality test for this exact scenario." Attention nature photographer: You might want to turn around.